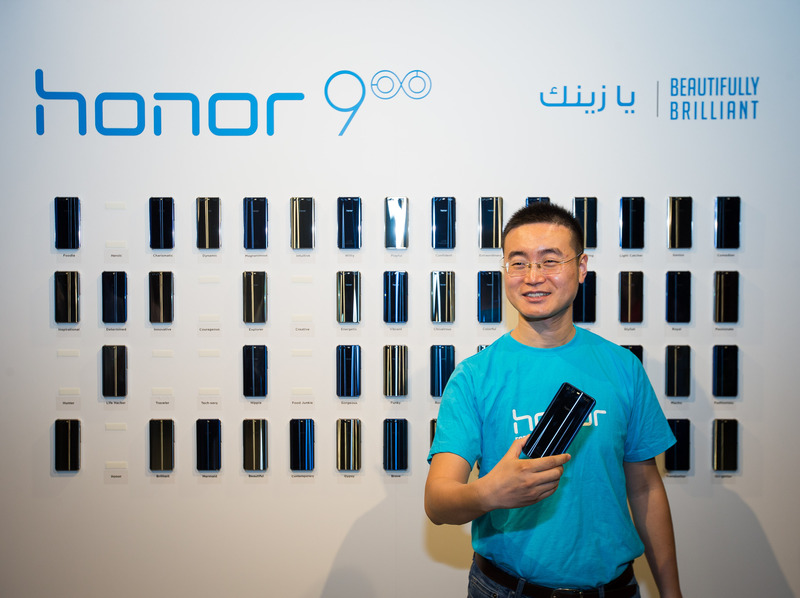 Honor the leading smartphone e-brand under the Huawei Group, officially launched its long-awaited flagship smartphone, honor 9 in the U.A.E. Embodying the slogan ” For the Brave,” Honor has been pushing design and performance boundaries to meet the needs of digital natives through its internet-optimized products that offer superior user experiences, inspire action, foster creativity and empower millennials. The honor 9 has been designed with millennials fast paced lives in mind, boasting an upgraded 20MP + 12MP dual-lens camera, outstanding audio quality and a Kirin 960 chipset, 6GB RAM, and EMUI 5.1 robust processing core that guarantees powerful performance, the smartphone comes in 128 GB and 6GB storage with an expandable storage option of upto 256 GB – giving millennials the freedom to explore more, accommodate their busy lifestyle and enhance their technology experience with honor. In addition to unbeatable performance honor 9 takes design to the next level with its ultra-modern 3D glass back made up of 15 meticulously crafted layers and a sandblasted metal bezel that creates a subtle aurora effect. Available in two shades; “Glacier Grey” a unique colour newly formulated by Honor inspired by popular fashion trends, and “Sapphire Blue” inspired by blue ice found in polar regions, both shades reflect 2017’s hottest fashion trends. The honor 9 encapsulates next-generation technology that delivers an enhanced user experience for those who dare to be brave. Available at all major retailers and online RRP starting from of 1,899 in KSA. Modes available: Light painting (Tail light trails, Light graffiti, Silky water, Star track), Super night, Pro camera, Beauty video, Panorama, HDR, Watermark, Audio note, Ultra snapshot, Capture smiles, Audio control, Timer, Touch to capture, Monochrome, Document Readjustment, Virtual aperture photo.